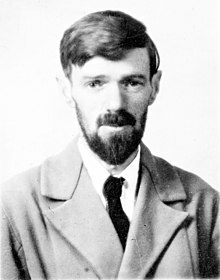 David Herbert Lawrence (11 September 1885 – 2 Mairch 1930) wis an Inglis novelist, poet, playwricht, essayist, leeterar creetic an penter. His collectit warks represent, amang ither things, an extendit reflection upon the dehumanisin effects o modrenity an industrialisation. Some o the issues Lawrence explores are sexuality, emotional heal, vitality, spontaneity, an instinct. This page wis last eeditit on 24 Februar 2018, at 05:36.